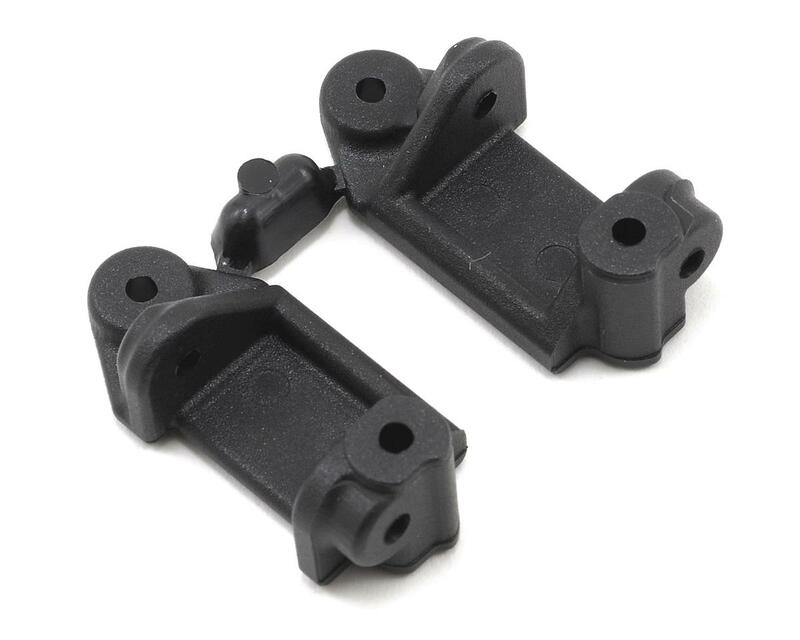 RPM Caster Blocks for the Traxxas Slash, e-Rustler & e-Stampede are the final link in for a complete, bulletproof front suspension from RPM for these trucks. RPM Caster Blocks are redesigned to slim down unnecessary bulk while improving strength and durability in this heavily impacted area. These are stock replacement items. No additional parts or modifications are necessary to mount a set to a vehicle. 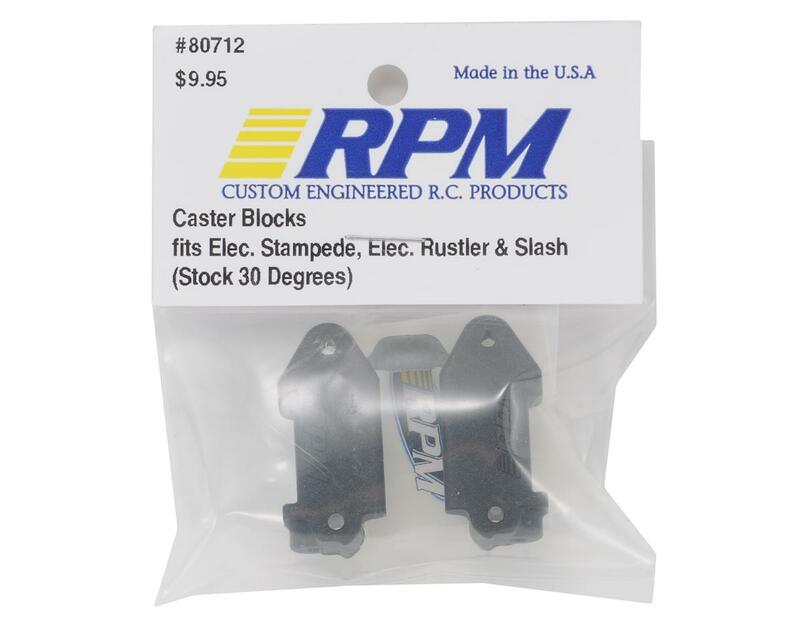 RPM Caster Blocks are molded in our trademark blend of ultra durable and super strong nylons and backed by the best breakage warranty in the R/C industry. Each package contains one left side and one right side caster block. Fit perfectly and word on the street is they are mare durable than the OG traxxas ones. Plus a little flex is a good thing and will prevent other parts further in from damage unlike the aluminum replacements available. Ok here is the truth: RPM Caster Blocks are the perfect combination of strength and durability, with just a touch of flexibility to save you when all other parts would have exploded like a parked smart car vs. a speeding 80,000lbs. semi truck. Yes they can break, but in a hammer like way: well used or a completely random fluke. I've never had any issues and they fit better then Mechanics Gloves. They are not worth triple the cost of Traxxas OEM parts. Please refer to RPM Front Bearing Carrier Set [RPM80372] review. I had interference fit problems with the RPM Products. Other than RPM's Body Savers, I will probably never buy another RPM part. Horible, the part does not even fit, claim's to fit on the car but, when trying it on, doesn't fit, also the part is a different size.